Why do you need Safire? Enterprise firewalls improve network security by segmenting corporate LANs. However, each of the advanced security functions (e.g. antivirus, app-control, IPS and SSL decryption) has a performance penalty. Combined, these features can easily reduce network performance by 90% – frustrating users and reducing business performance. Safire is the only solution on the market that solves this problem quickly and cost-effectively. 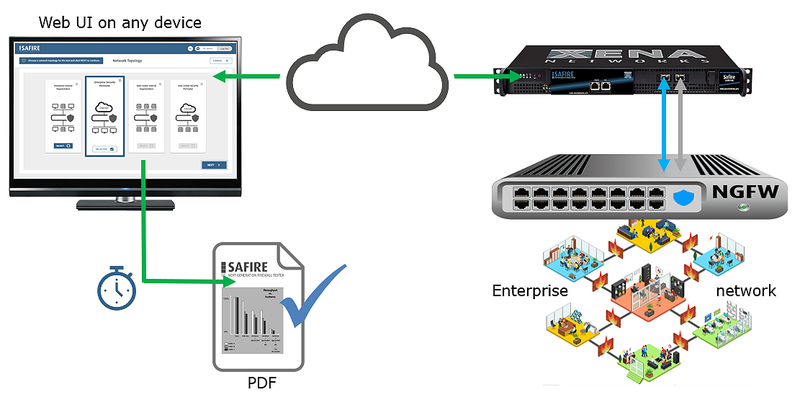 Simply connect Safire to your firewall, define a traffic profile that matches your network, and select the features you want to measure. 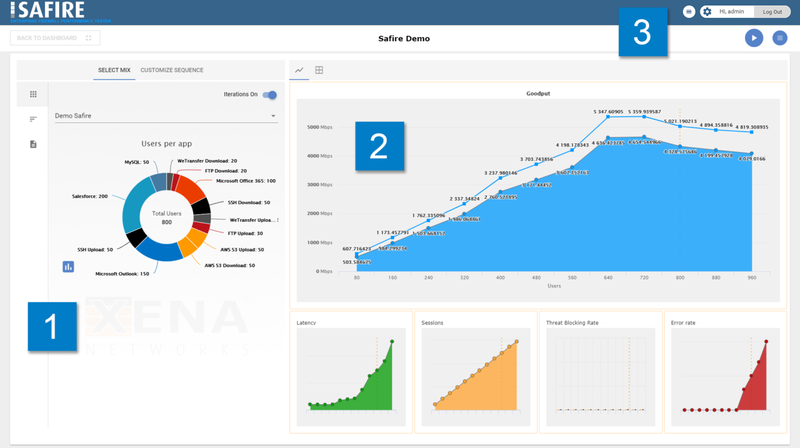 Initiate the test and in minutes Safire will compile a PDF report detailing how each feature impacts performance, with easy-to-understand graphs that clearly pinpoint the firewall’s breaking point and a wealth of other data. 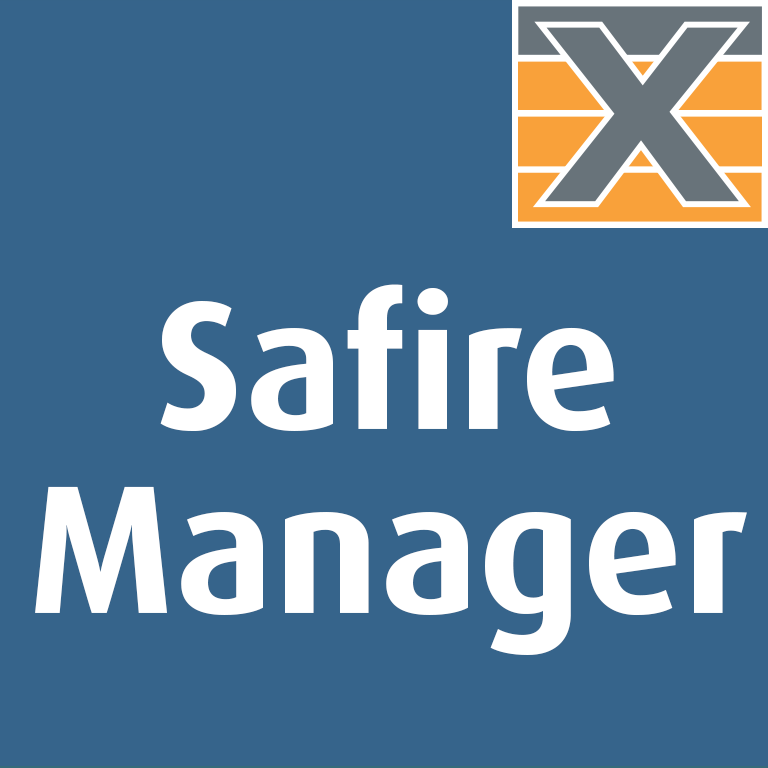 Safire is controlled via an easy-to-use web-interface called SafireManager, which is so intuitive that training is rarely required. 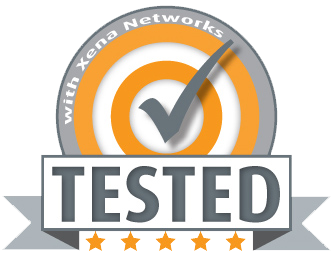 Users are guided through the few simple steps of connecting to the firewall and defining all the variables relevant to the test – which network scenario and traffic mix to use, how many users to be emulated, which firewall features to test and so on. The basic test configuration process typically takes just a few minutes! Then its just a question of waiting for Safire to perform iterations of the test and produce the PDF report. A key reason why Safire is so effective is it includes a pre-defined library of application traffic and protocols to ensure highly realistic traffic profiles. Each enterprise obviously has a unique traffic profile. Performance testing next-gen enterprise firewalls – where application-awareness is widely used for policing enterprise network traffic – requires real-world traffic that match the unique traffic profile of that network. Safire makes it easy to create such traffic mixes via its up-to-date library of applications and protocols (in pcap format) to maximize the accuracy of the test. The PDF report includes a cover summarizing the the key findings, plus a wealth of graphical data so you can instantly spot any serious performance issues. Here you can see the traffic mix derived from Safire’s up-to-date library of applications and protocols. The graphs show various test parameters such as goodput, errors, latency, sessions and so. They can be dragged and resized to speed up result analysis. This is where you configure Safire and initiate new or view existing tests. Safire makes it easy to document goodput, which is the application-level throughput (i.e. the number of useful information bits delivered by the network to a specific destination per unit of time). It also measures Layer 1 throughput with different concurrent sessions, packet sizes, traffic mixes, and traffic characteristics in easy-to-understand graphs. You can test with asymmetric or symmetric traffic patterns and different mixes on various firewall deployment topologies: security perimeter firewalls protect enterprise against inbound traffic, while internal segmentation firewalls protect internal LAN network segments, where the demand for performance is much higher than those at the edge. Run tests with the latest standardized TLS encryption to identify the impact of enabling SSL deep inspection policy on your firewalls. Quickly compare different test results for a smart analysis on how different firewalls perform with the same features enabled, or how the same firewall performs when different features and policies are enabled. Safire produces attractive PDF reports that highlight important performance indicators for efficient decision-making. Safire is a fixed 1-slot chassis that can test up to 10GE, via 24 packet engines and two L4-7 SFP+ test ports. Its compact format and quiet performance makes it easy to fit into any office.